Bohemian elegance is this ball gown lace wedding dress with cap sleeves and polka dot lace overlay. The bodice features small sheer cutouts on the side and back before the lace flows gently down the skirt. 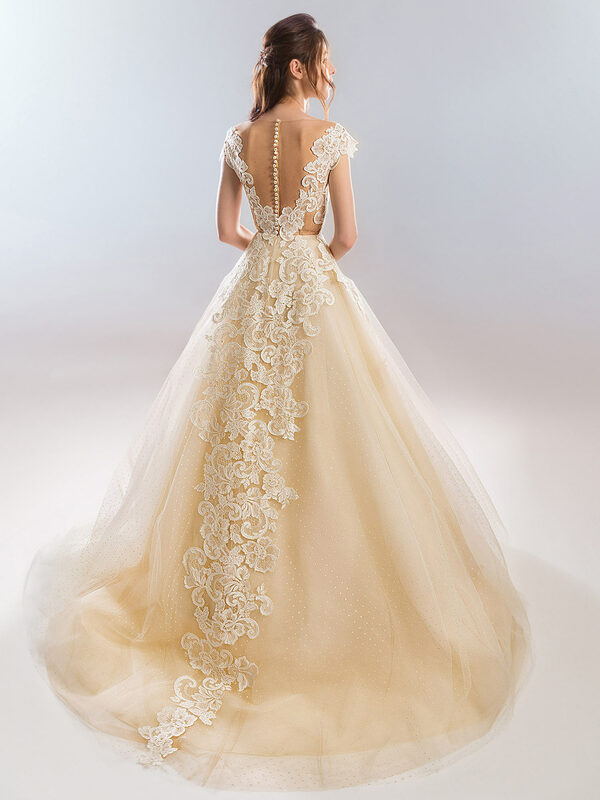 The cap sleeves create a beautiful open neckline and the back is closed with small pearlescent buttons.